Brazilian Jiu-Jitsu is a collaborative sport that allows people to train both individually and in groups. Children in particular can enjoy higher self-esteem that comes with mastering a new skill. For adults, confidence comes with the knowledge that they can safely walk around downtown Nashville – even at night. BJJ practitioners are never defenseless when they have studied and trained with our instructors. In fact, self-defense is one of the primary reasons most of our students sign up. The physical benefits of BJJ are undeniable. Many of our students sign up for weight loss, only to discover that they are building flexibility and endurance, too. Other benefits are not so easy to see. BJJ classes encourage members to attend frequently and enjoy the benefits that come with regular exercise. This results in lower cholesterol, stable blood sugar levels, and even increased energy. These “invisible benefits” help our members enjoy a better quality of life. BJJ is a practical way to learn self-defense in a comfortable environment. Winning a fight in BJJ doesn’t necessarily mean striking your opponent the hardest because that’s not how fights work in real life. Closing the distance and controlling your opponent are often the more effective techniques, which are rewarded in BJJ. These are also the safest ways to diffuse tense situations, which is why many police officers are trained in BJJ techniques. After a long day at school or the office, it helps to alleviate stress on the mat. This is a great way to take out frustration before going home at the end of the day. BJJ is an easy way to help put your life into perspective and separate yourself from the cause of your stress. You can return to your life feeling good as new and ready to take on your stressors with fresh eyes. BJJ teaches students to think critically and focus on mastering techniques in order to move ahead. Students learn to focus on mastering new techniques that contribute to an overall strategy. This kind of time and attention contribute to students’ success as they study and learn more over the years. BJJ is also a great way to fix “brain block” that can happen when people are overworked. Simply taking a break for physical activity, like Jiu-Jitsu training, can be an opportunity for your brain to reset and push past the mental barriers preventing you from being productive. It’s reenergizing! BJJ is about rewarding those who put the time in. Students discover patience while they learn difficult techniques and practice newly learned strategies over time. This dedication to BJJ also helps students build strength of character. Our students overcome adversity with creative thinking and extensive training. There are no shortcuts to improvement and no cheat codes to get a black belt. At Gracie Barra Brazilian Jiu-Jitsu, you get from your practice what you put into it. There is no “Jiu-Jitsu type” of person and you don’t have to have any special martial arts knowledge to get started. People from all walks of life take BJJ classes. Many people join as a way to get healthy, others join to learn self-defense and some join to make friends and become part of a community. Whatever the reason, Gracie Barra is a great place to meet like-minded people who want to life Jiu-Jitsu. Everyone can be successful with the right attitude and a little bit of determination! BJJ comes with a lot of benefits, not the least of which is the opportunity to participate in both local and national competitions. Showcase your training and put your skills to the test on the mat with other martial arts students. Make your teachers proud and earn respect within the Jiu-Jitsu community when you display admirable sportsmanship. Competitions are a great place to shine and see how your practical skills stack up. 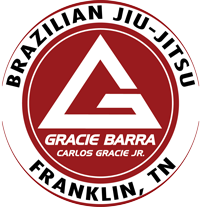 People from all walks of life take BJJ classes at our Nashville-area school. This makes it easy to meet a variety of people with similar interests. You can further your Jiu-Jitsu skills while connecting with new friends in a fun, welcoming atmosphere. It’s a win-win situation! Many of our students continue attending classes week after week simply because it’s fun. We try to make classes personal for each group of students, so there really is something for everyone. Our students are encouraged to bond and use their newfound friendships to grow their love of the sport. Whether you compete or simply want to be part of something new, BJJ is a great way to spend time. The things you can’t see are sometimes the most important. 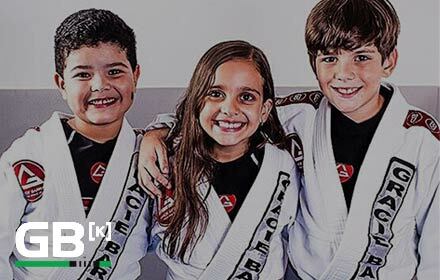 Gracie Barra Brazilian Jiu-Jitsu offers students the opportunity to benefit from intangible things: newfound skills, health, friendship, and a sense of integrity. BJJ teaches lessons that apply to everyday life. Contact us today to schedule a free class and begin your very own Jiu-Jitsu journey.